Thanks for the timely response. I am presenting this info to our insurers before our Dec 2 renewal. It will be interesting to see what difference it will make to the premium, if any. 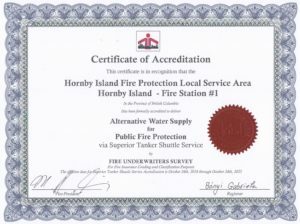 Congratulations and thank you HIFD for doing your part in achieving this accreditation.